Are you a petanque player who is interested in learning how to shoot, or in learning how to shoot better? The WIRED web site has a new video that you will find interesting. 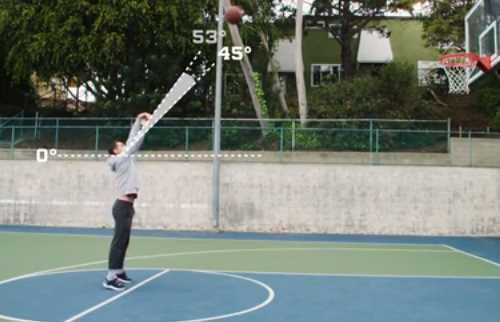 The video is about “shooting” a basketball (making free throws), but the considerations involved are basically the same as those in petanque shooting. In both cases you are trying to launch a ball toward a very small target with consistency and accuracy. The video is HERE. It is full of stimulating ideas that you can apply to your own shooting practice. I’ve been interested in techniques for learning to throw for some time. In particular, I’ve identified consistency and the height of the throw as especially important for practicing shooting, so it was interesting for me to see the video confirm (and improve) my crude insights. If you’re interested in more information about some of the people in the video, here are a few useful links. 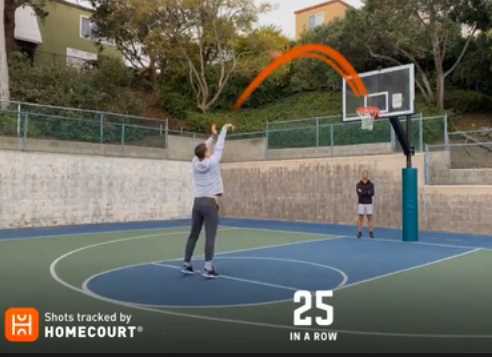 Steve Nash’s HOMECOURT AI is an Apple (iPad and iPhone) app. Its web site is www.homecourt.ai. 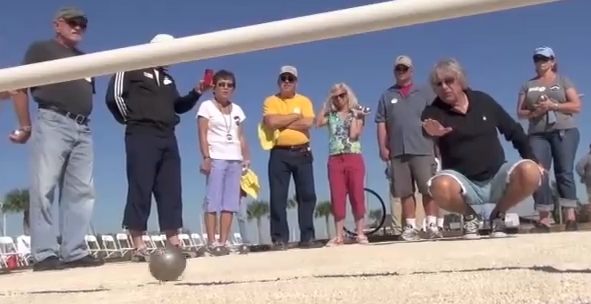 I wish there was something similar for petanque shooting! Larry M Silverberg is a professor of mechanical and aerospace engineering at North Carolina State University. You can find a podcast interview HERE. 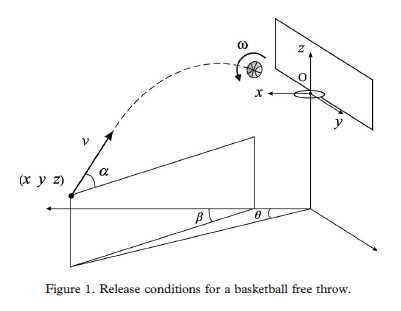 His article (“Optimal release conditions for the free throw in men’s basketball”) is available HERE, but it is very technical and I doubt that it has any practical usefulness for petanque players. 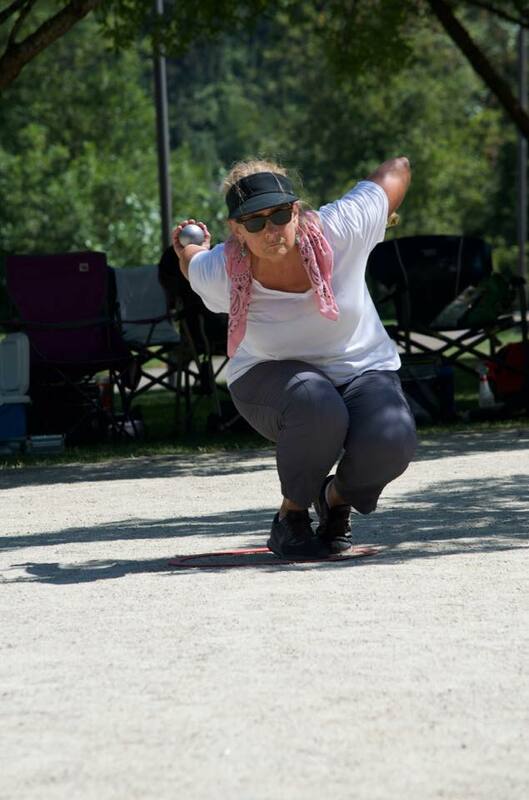 A lot of women players struggle to throw boules to longer distances, so when I saw this photo on the Facebook page of Celia Crittenden, I just had to re-post it. Good form is the key to gettting distance on a thrown boule. And in this photo Celia, one of the top U.S. women players, shows how to do it. Aside from the fact that she is squat pointing, note the full backswing of the throwing arm, which supports a strong throw. Note also the full backswing of the non-throwing arm, which keeps her balanced as she throws. Players who are working to improve their game sometimes wonder: Where should I be looking when I throw a lob? Should I concentrate on the donnée, the spot where I want my boule to hit the ground? Or should my eyes follow the boule through its high trajectory in the air? Instructional books and videos say that your attention should be on the donnee. But if you watch Youtube videos of world-class lobbers, you can see that their eyes are following the boule through the air. Which is right? What should I be doing? For a long time I have wondered if it might be possible to develop a simple method for measuring (assigning a numeric value to) a player’s skill level. If so, then a player looking for a partner for a competition could use the value to help find a partner with a similar skill level. Before a competition it could be used to seed teams. A player could measure his/her improvement as he/she practices. My idea is that the the measurement should consist of two numbers representing the player’s success percentages for pointing and shooting respectively— like this: 80/20, meaning an 80% success rate at pointing and a 20% success rate at shooting. Recently a friend asked me for suggestions about how to learn to shoot. Here are some thoughts on that subject. I’m not an expert, and I can speak only from my own experience. Personally, I find it helpful to practice shooting with three different goals in mind. I devote one practice session to one of the goals, another session to another of the goals, and so on. I call the goals form, accuracy, and consistency. (b) learning the moves. That is, learning how to throw with that form. (a) is a process of learning what experts do with their bodies when they shoot. A good way to do this is to watch Youtube videos of world-class shooters. As you watch, ignore the game and pay attention to the shooters’ form as they throw. What are they doing with their feet? Their knees, their shoulders? Their backswing, their follow-through, their non-throwing arm? No two players have exactly the same form, but there are a number of things that most world-class shooters do. Watch for those things, and create a mental image of your ideal throwing form. Better yet, if you find certain players whose form looks good to you, watch them a lot. They will give you a concrete picture of what you want to imitate. A DailyMotion video of a recent match shows an expert shooter in full backswing. Note the position of his shoulders, torso, throwing hand, and non-throwing hand. A good model to imitate. (b) is the process of learning how to imitate that form… learning how to do with your body what you see the experts doing with their bodies. To do this, you need feedback on your efforts. Ideally you’d have a coach to watch you and give you useful feedback. Unfortunately, petanque coaches are as rare as hen’s teeth. Lacking a coach, try to enlist a friend to watch you and provide feedback. If you can, get your friend to use his/her cell phone or tablet to take a 2-minute video of you while you’re practicing. Then you and your friend can watch the video while discussing the strengths and weaknesses of your form. When you are practicing your form, don’t worry about how close you get to the target. Hit or miss, it makes no difference. Pay attention to how you’re moving your body. That’s what it means to practice your form. Once your form is workable, your second goal is accuracy… hitting the target. This is where you just throw, trusting in your form practice to make your form good even when you’re not thinking about it, and paying attention only to where your thrown boule lands and how close it comes to the target boule. For this, the only plan is throw, throw, throw, and watch, watch, watch. Sometimes it is helpful to stand at a fixed distance and just throw and throw until you get the distance down. But don’t do that all of the time. Periodically, practice throwing in rotation. Throw a few boules from one distance, and then move to a new position and throw from a different distance. During real play you will need to shoot from a variety of distances, and practicing this way will help prepare you for that. This was how I began practicing how to shoot. Sometimes I would practice for form, and sometimes I would practice for accuracy. As I practiced for accuracy, I noticed something. Even though my form seemed to be OK, and even though I sometimes hit the target boule, I realized that my throws were wildly inconsistent. Some were low, some were high. Some were short, some were long. Clearly I wasn’t being consistent about when I was releasing the boule (early release=low throw, late release=high throw) and I wasn’t being consistent about the force (the speed) with which I was throwing (slow swing=short throw, fast swing=long throw). Realizing this suggested to me that I should have a third goal, something that was sort of like form, and sort of like accuracy, but not exactly the same as either of them. Consistency. I began to change the way that I thought about consistency. Instead of thinking of it as consistency in hitting the target (accuracy), I began to think of it as a matter of control— of consistency in the speed of my throw, and consistency in when I opened my hand and released the boule. To help me practice consistency, I rigged up two ribbons across my shooting pit, just above head height. And then I practiced throwing between those two ribbons, trying to throw to a consistent height. My theory is that if I can throw to a consistent height, then I’m gaining control over the point in my swing where I’m releasing the boule. And if I can throw to a consistent distance at the same time, then I’m gaining control over the strength (speed) of my throw. Practicing with the ribbons helps keep me aware of the height to which I am actually throwing. And it helps me to get a better idea of what is a good/desirable height for my throw. As I adjust my ideas about the best height for the throw, I adjust the height of the ribbons. The FFPJP (and their training arm, CIEP) sells a kit for use in schools, for teaching petanque to kids. It contains equipment designed to teach the kids consistency by having them throw their boules through vertical hoops. Same basic idea. Here is a picture of Ukrainian kids using the kit. Here is a picture of a young person with Carolina Petanque trying out the same kit. If you play a lot, eventually you’ll probably start thinking about what you could do to improve your game. The standard options are practice and taking lessons. But there aren’t any petanque schools or coaches in the USA, which leaves American players with only one option… practice. You set up a practice area in your back yard, and you get out there and start throwing boules. You see improvement, but you also wonder “Am I doing it right? Am I practicing effectively? How do players of other sports practice? Baseball players, for example. How do they practice? Is there anything that they know about practicing that I could use in practicing petanque?” So you go onto the Web and start googling around, looking for help and insights on ways to practice effectively. That’s what I did. Here is the best of what I found. There is a really good article that sums up a lot of the other articles on this list. It is “The Relevance of Practice in Pétanque Performance and Competition” by Philippe Geraud. It is available online in the early fall 2016 FPUSA newsletter, or our archived copy is HERE.